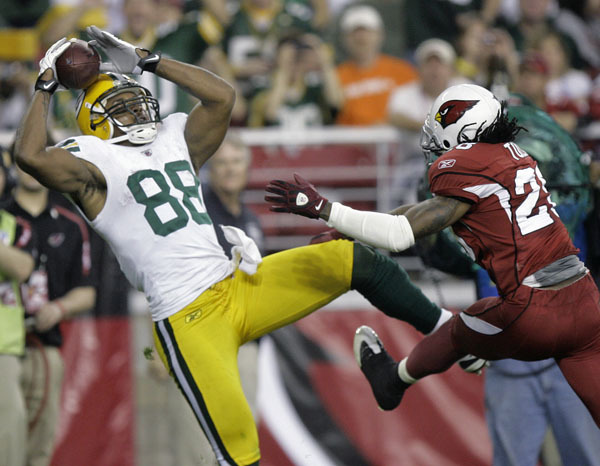 Packers @ Cardinals Playoff Preview « Roll Out the Quevedo! Mike McCarthy has spent the last few years trying to create a culture of consistency. You can see this in the way he structures and runs his practices, game preparation, film work and gameday. Over the last two months, it has definitely paid off. There is an expectation of consistent success in the locker room. You can see it in the comments made by McCarthy and the players. That’s why they did what they did to the Cardinals last week. And I truly believe it was a springboard to a repeat performance this Sunday. 1) Disrupt Warner and their timed passing game. Kurt Warner is one of the best QB’s in the NFL when it comes to the blitz. He has zero mobility, but his ability to get rid of the football is unparalleled. The Packers need to utilize different fronts, looks, blitz and coverage packages to keep Warner guessing. The Cardinals are 28th in rushing. It starts and ends with Warner. Need a big day from Ryan Grant. 2) Ryan Grant needs 125. This will slow down the Cardinals pass rush and really put pressure on the shaky defensive backfield of Arizona. The Cardinals were middle of the pack this season in rush defense at 113 yds per game. Grant and the O-Line have been solid in the second half. I’m seeing at least two rushes of 20+ for Grant Sunday. 3) Keep the Cardinals out of the Red Zone. They’re automatic this season at 70.4%, first in the NFL. This may be the key of the game. 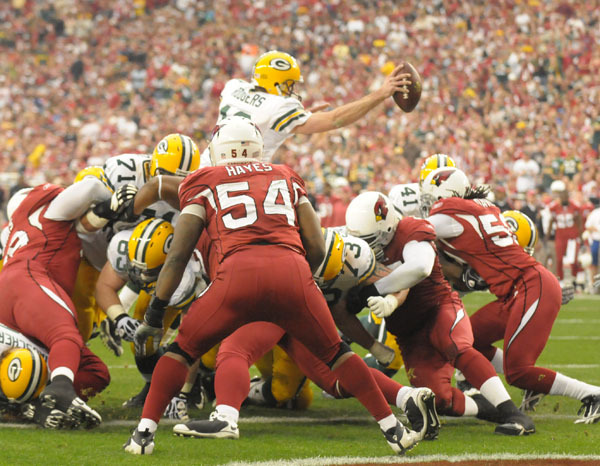 If the Packers can limit the Cardinals to field goal attempts, I love their chances. 4) Make the play. No drops, no missed tackles, etc. We always look back at games and wonder, “Boy, if so and so would have only made that play…” It could be special teams in the 1st quarter or an offensive play in the 3rd. You never know the play that could be the catalyst to a victory. 5) Do what you do. I see a team that knows they are very good, and wants to be great. There is no reason to deviate from the last two months. Play Packers football and we will be moving on.